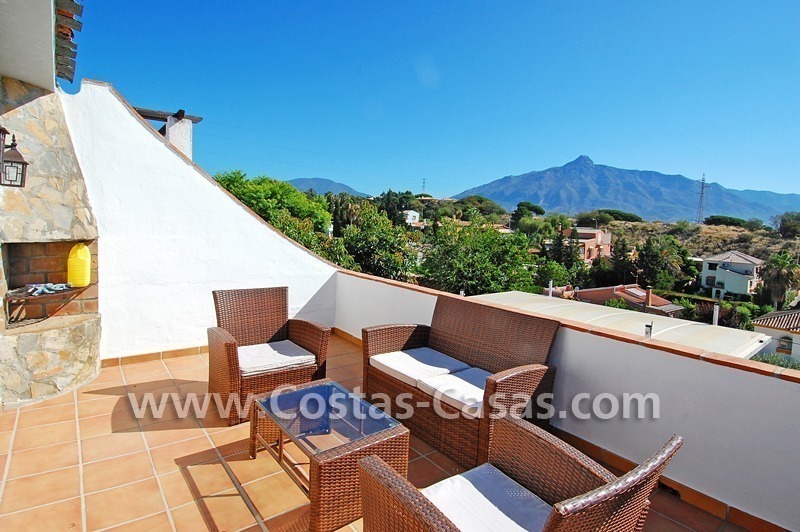 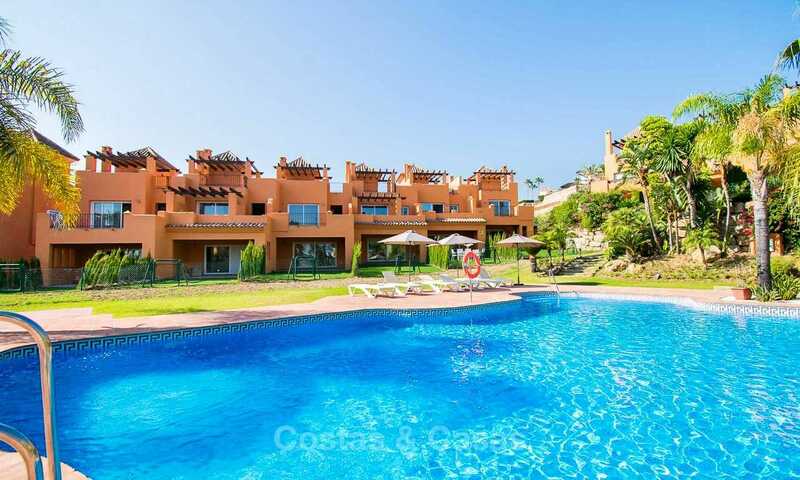 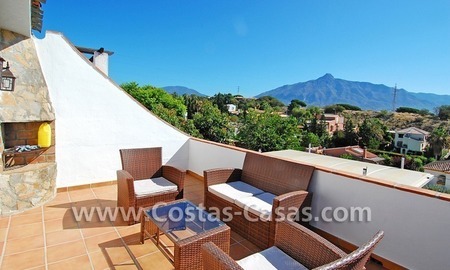 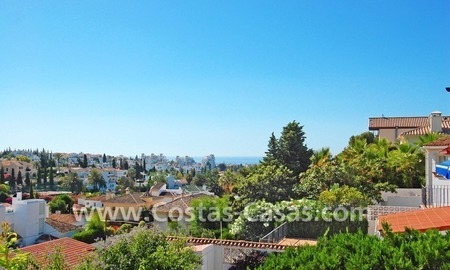 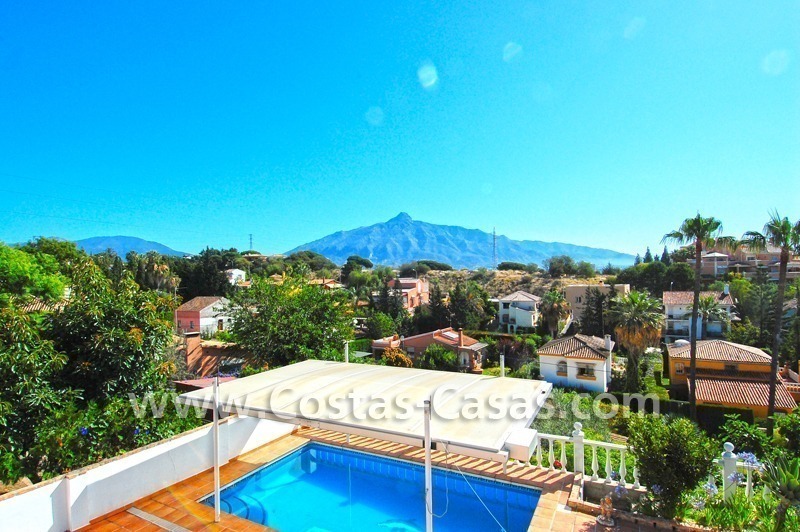 Located in sought after area next to renowned golf course in Marbella´s golf valley only a few minutes drive to all kind of amenities and Puerto Banus, the best beaches and the beach bars and club. 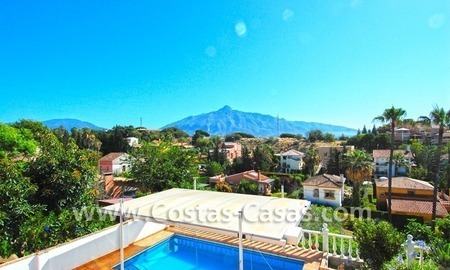 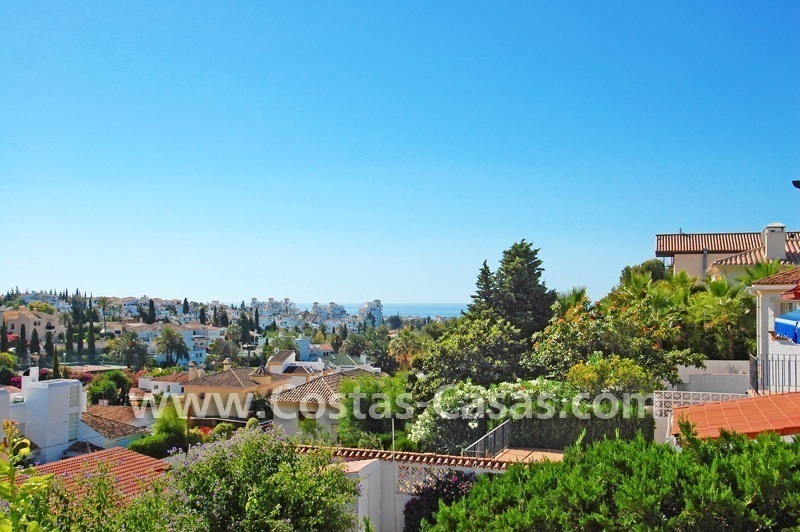 Good views to the garden, the mountains, the golf and partially to the sea. 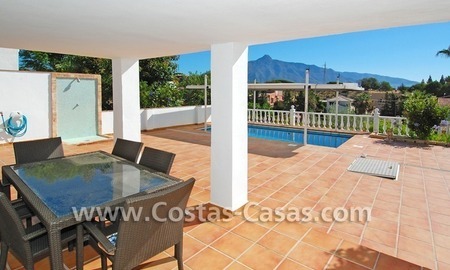 Nice private terraced area and private garden with barbecue area with fruit trees and pool set in a plot of almost 400 m2. In total 2 bedrooms and 1 bathroom plus 1 guest toilet. 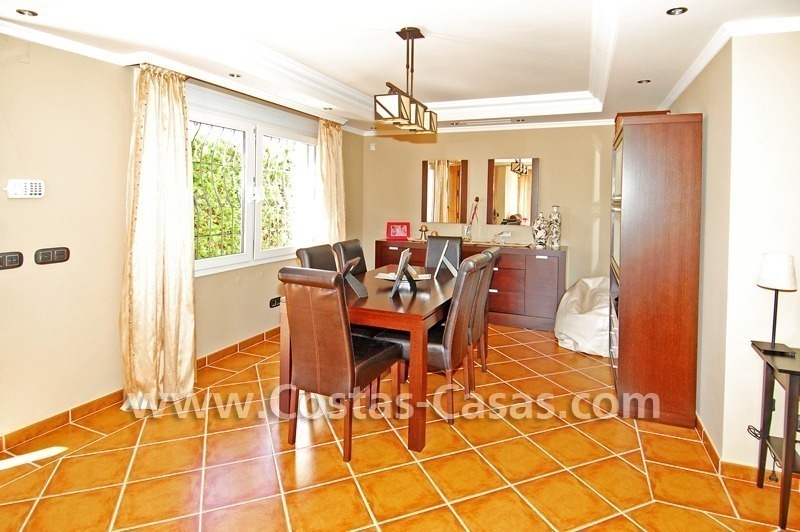 Living-dining room with double height and exit to upstairs terrace. 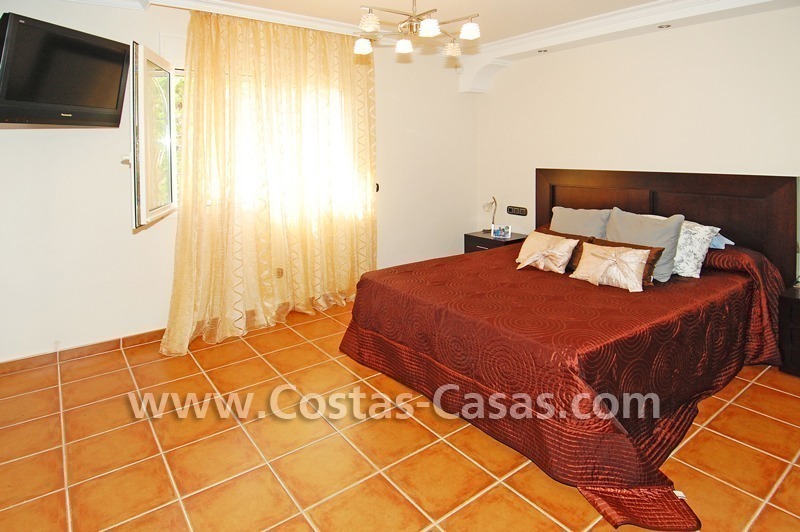 The master bedroom has a bath en-suite with jacuzzi. 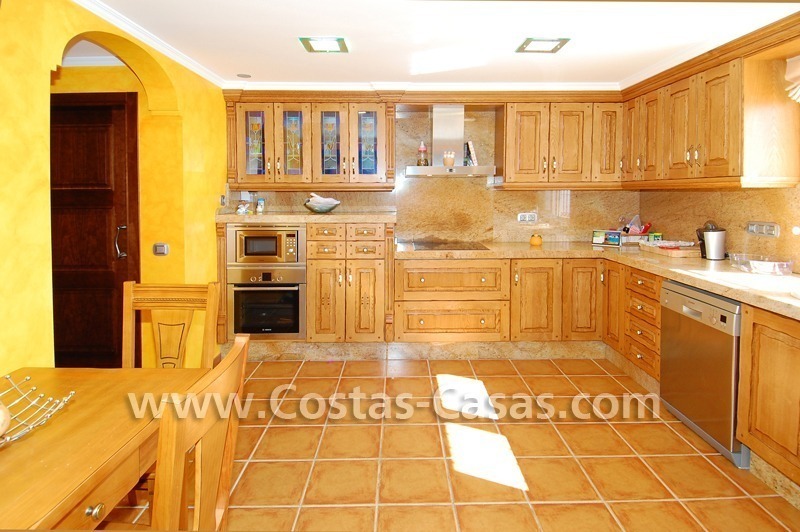 Open plan fully furnished and fitted kitchen with Bosch appliances. 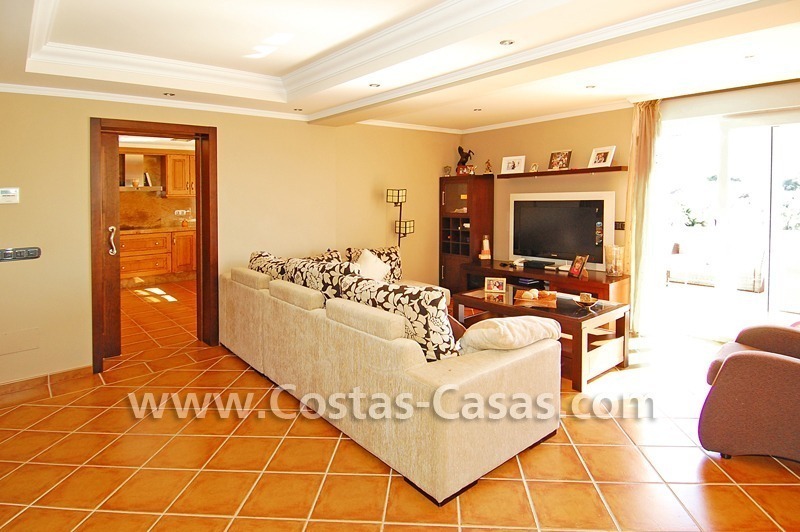 Totally refurbished in 2008 with all new materials, piping and flooring. 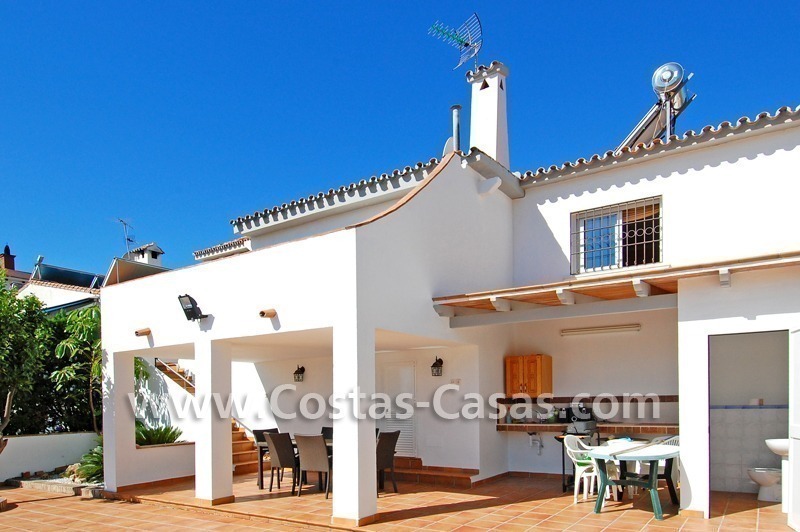 There is a building license to build a third bedroom on top of the house if desired.